KELLEY SAYS: It's holiday season, and that means family gatherings, and that means lots of side dishes. 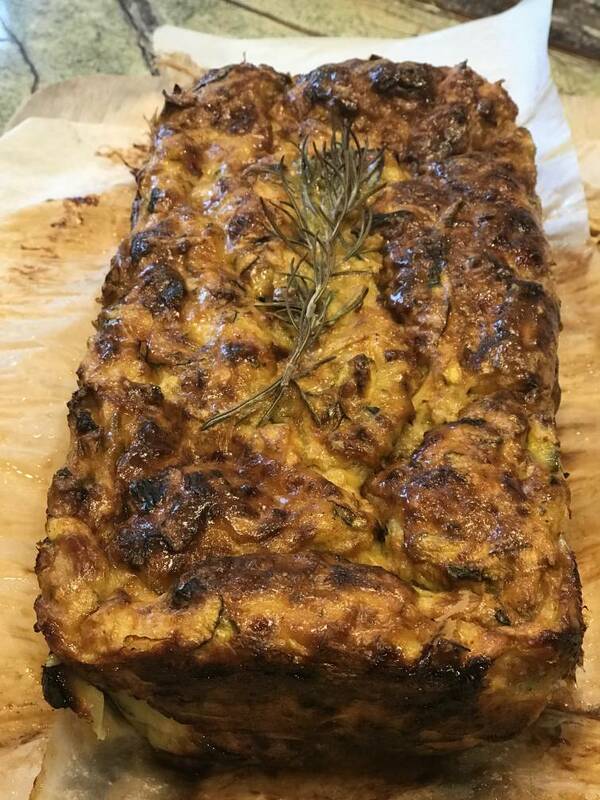 I found this recipe in the summer 2018 edition of Farmers Market and thought it would be a good addition to a Thanksgiving gathering. I was looking for something different that still featured some "traditional" fall/Thanksgiving ingredients. BARRY SAYS: This fit the bill. I like traditional and familiar for sure, but I also don't mind discovering a new favorite. And we have several folks who prefer vegetarian options. This hopefully hits that mark as well. 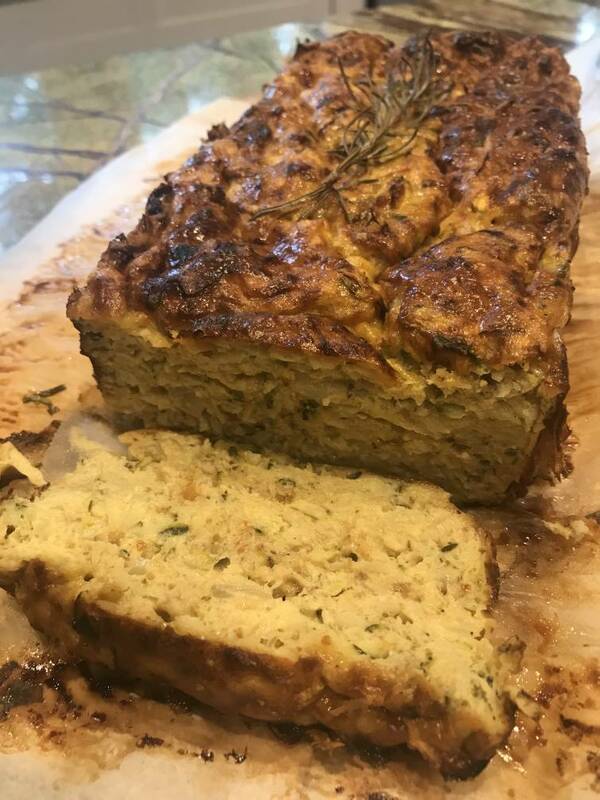 KELLEY: I changed things up a little from the original recipe by using fresh rosemary from the garden, a better grade of parmesan and real buttermilk from Earth Fare. BARRY: I still don't know how people drink that stuff, but it works well as an ingredient. KELLEY: I also let the dish cook a little longer than called for because I wanted it a little more browned and crispy. BARRY: As with so many dishes, we discovered that this tastes pretty good the next morning as well. It actually sets up a little bit after a night in the fridge. KELLEY: It's pretty good with a little dollop of pepper jam. Heat oven to 350 degrees. Grease a 4- by 8-inch loaf pan, and line the base and long sides with parchment paper, leaving 3 inches of paper over the sides. Heat oil in medium-size frying pan over medium heat; cook onion, garlic and chopped rosemary, stirring often, for 4 minutes or until golden. Remove from heat, and add crushed dried rosemary, and place in a large bowl to let cool. Squeeze excess liquid from the zucchini, and add to the onion mixture with sweet potato, flour, parmesan, nutmeg and pepper; mix to combine. Make a well in the center, and add eggs, buttermilk and tomatoes; mix until just combined. Spread mixture into pan. Bake loaf for one hour or until browned to your liking. Cool in pan for 20 minutes before turning out. Serve sliced, warm or at room temperature.